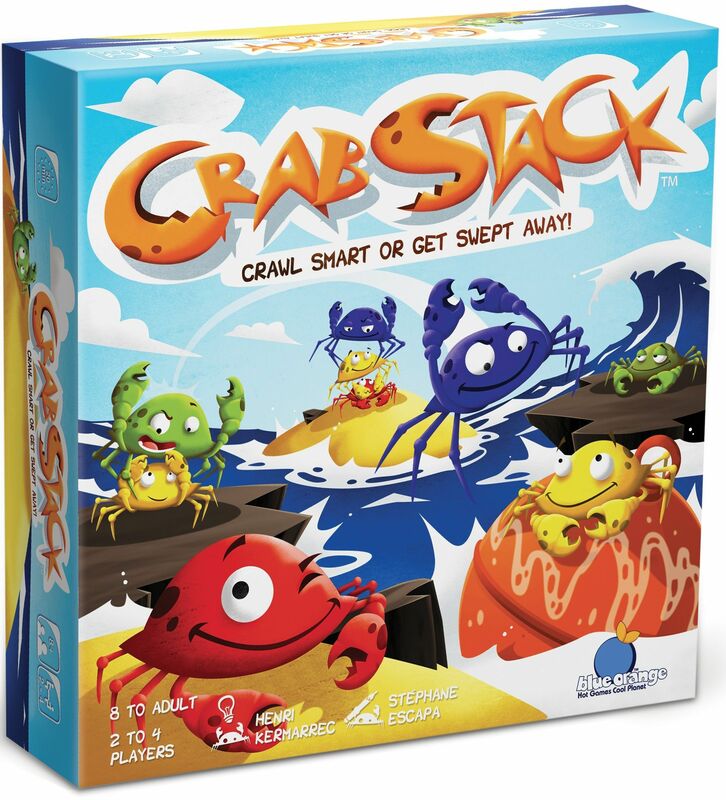 Players in Crab Stack represent a family of crabs who don't start out stacked, but who will become stacked over the course of the game, preferably being top crab in the end. Each player has nine crabs — three large, three medium and three small — and they start in random locations on the game board at the start of play. On a turn, you move exactly one of your crabs — with a large crab moving exactly one space, a medium crab exactly two, and a small crab exactly three — so that you land on top of another crab of the same size or smaller, pinning it and preventing it from moving as long as you sit there. You can't move over open water, and if your move splits the cast of crabs, then the smaller group is washed away by the waves. If you can't move on your turn, then you're out of the game — even if one of your crabs is left uncovered later. The last player who makes a move wins!